It is so important that teachers strive to be their best in the classroom. The classroom is a place where children develop certain beliefs and children are motivated by their beliefs. The classroom is a place where children form opinions, make judgments and determine values. Children use their beliefs to assign meaning to the learning situation, to form an opinion of working efficiently and effectively, and to evaluate a teacher and the teaching methods that are used. Children have certain expectations. The results that they get for their work, form their beliefs about success or failure. Because the work that is done in the different classrooms varies, children can easily lose interest. This happens mostly when the work is too difficult for them to understand or so boring that they aren't stimulated by it. A teacher can determine whether work is difficult or boring. In determining this, teachers should do everything in their power to help the children to achieve good outcomes. A child's motivational beliefs are developed through direct learning experiences, observations, verbal statements, and social comparisons. These beliefs guide a child's thoughts, feelings and actions. From one subject to the next, a child will never think, feel or act the same. Whether positive or negative, his beliefs are very resistant to change. A good example to use is mathematics. When a child doesn't make progress in mathematics and his teacher has no patience with him, he will learn to dislike mathematics. He will like it even less if his friends tease him about his results. This negative belief that he has formed about mathematics will not be changed easily. Teachers spend a lot of time with the same children during a year. It's important that teachers learn to understand their students. 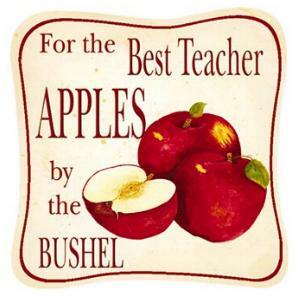 A good teacher will know more or less what each student's motivational belief is regarding her subject. This belief (positive or negative) may have been formed in a previous grade. Students usually hide their thoughts and feelings, and so the teacher needs to have more insight into their beliefs. A student's level of participation in a subject, his commitment to classwork, homework and assignments, as well as the results he gets determine his beliefs. The classroom: Make the classroom beautiful and interesting. Learners must be keen to enter the room. They spend a lot of time in the classroom and need to feel comfortable there. The classroom also affects the teacher who spends a lot of time in it. The environment should motivate both the teacher and child, and make them feel happy. Attitude: When children come into a classroom, they need to know that the teacher likes them. They need to feel loved. A warm, kind and considerate teacher will always win hearts. Discipline: It is good to remember that discipline is just as important as empathy. A firm hand is necessary. A chaotic environment cannot motivate or bring any good. When learners behave in an inappropriate way, it will help to discuss the situation with them. Treating children with the needed respect can help them to change their ways. Of course, some children are very difficult. Taking them to the principal or calling their parents will not necessarily solve the problem. In most cases, however, a good lesson with interesting work will help with the discipline. A well-prepared teacher will always have more discipline in her class than an unprepared teacher. The work: Try to make tasks and activities meaningful and never give more work than that which is necessary. Giving too much work is ineffective. Teachers shouldn't give work to keep children busy. When we want a child to practice something, the purpose is not to punish him in the process. If a child says, "It's too much. I'll never finish in time!" it doesn't necessarily mean that he is lazy. Try and find out why he thinks that it is too much. Help him to see that he can cope by adapting the exercises according to his capacity. There are many other ideas that can help teachers to motivate children. These are basic ideas to work with. The key to success of course is that a motivated teacher will always have a better effect on her students. Teachers, therefore, need to be motivated and enthusiastic about what they're doing in their classrooms.